Nemo – New England Mechanical Overlay, Inc. Contact NEMO Today About Your Project Needs. A leader in the industrial boiler repair industry since 2005. Full service maintenance including certified NDE testing. ASME pressure vessel design and fabrication in our fab shop facility. NEMO’s mobile road team and fleet of custom trailers is ready to travel. that keep electricity running through the grid. Here’s a few of our most recent projects. At New England Mechanical Overlay we believe and live by in these four code values. The quality of our work begins with the quality of the people we employ. 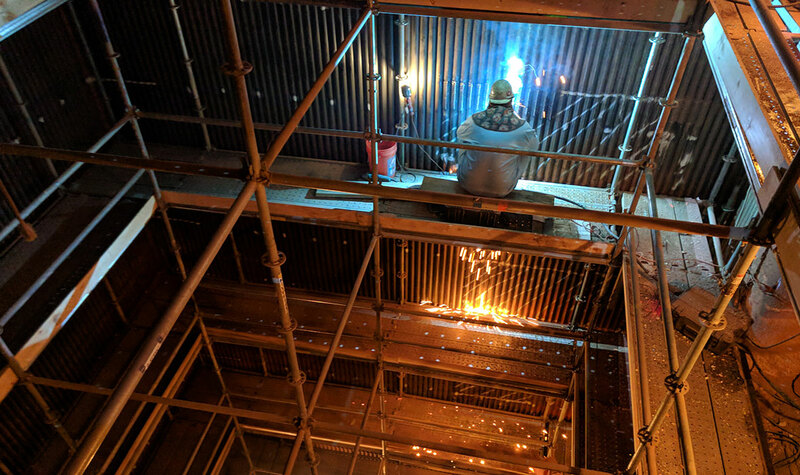 We believe in providing the best quality, service, and expert welders in the industry. Safety is the focus of everything we do. We are leaders and innovators in safety. And we’re constantly looking for ways to move the bar higher (safely). We believe in providing the opportunity to better ourselves and employees through education and experience. We strive to provide the best service the industry has to offer. And we are dedicated to exploring new ideas and services. 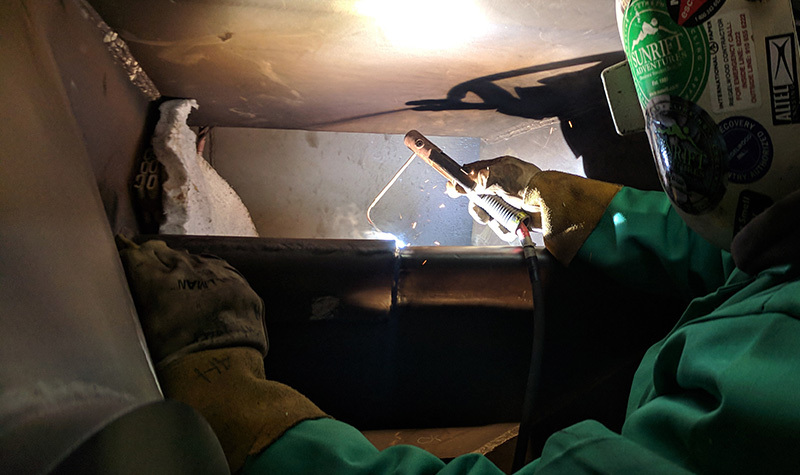 NEMO is currently accepting applications to join our best-in-the-business team of certified welders. 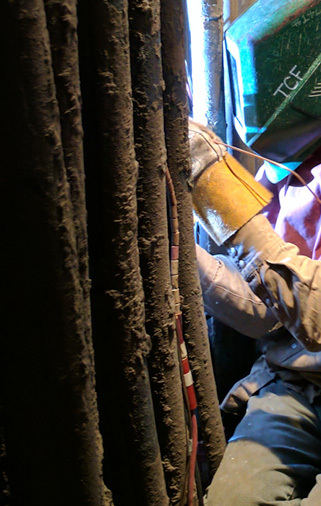 Learn more about open positions or certification requirements for NEMO welders. 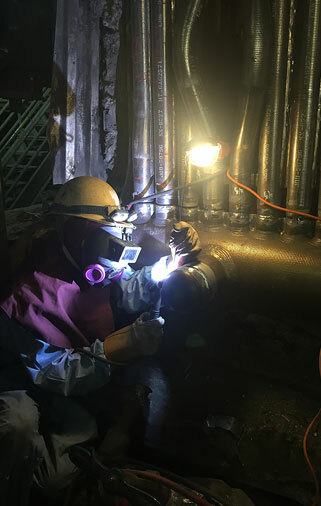 New England Mechanical Overlay is always looking for the next great welder to join our growing team of expert welders. We are interested in your experience, character, and strong work ethic. Fill out our online application to apply for any open positions. New England Mechanical Overlay is an ASME stamp holder. NEMO is proud to provide certification classes at all levels for its welders. Additionally, NEMO requires all employees to attend a week of NEMO Safety Standard classes.